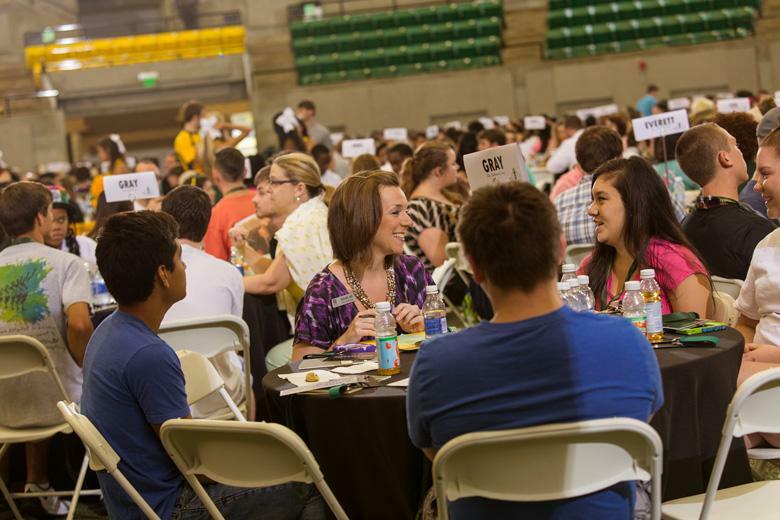 Student Success at Arkansas Tech University offers a variety of opportunities for students to become engaged through diverse development programs. These services are designed to help students adapt to university life, successfully complete a degree, and transition from college to career. Know the difference between High School and College. Be sure to submit your FAFSA by June 30th to quality for loans, work-study, grants, and scholarships. Also take a look at the foundational scholarships offered from Tech and Fastweb. Submit immunization records documenting two MMR shots to Admissions office! Send your final transcript! Make sure to submit your final transcripts, recent test scores (ACT, SAT, Accuplacer, or AP/CLEP scores). Consider living on campus! Stay in a Living Learning Community - to connect with the community and others who share a common interest. Find more about your housing options here. Finalize your class schedule starting in Spring! Set up an appointment to register for classes with your advisor. If you have not declared a major, meet with a career advisor to find the perfect major for you. Take a look at the mandatory Gold Bold Student Orientation schedule! Know about parking and campus safety! Visit Public Safety page for information about parking information, sign up for ATU Alerts, and learn about how to register your bike & vehicle. Let us help you! For students requiring special accommodations, please contact Disability Services. Refer to Documentation Guidelines to learn more. Apply for Freshman Leadership Experience! This is a great starting point for students seeking to gain and increase their leadership skill set. Students chosen will receive a 1st semester scholarship. Keep track of important dates by viewing the Academic Calendar for last days to drop, holidays, final exam schedule, etc. Jerry Cares! Help keep the campus safe and gain knowledge about how to report sexual misconduct, hazing, alcohol, and drug abuse incidents to the Care Team. Feeling blue? Make an online appointment to visit the nurse or counselor in the Health and Wellness Center. Stay healthy! So you can be on top of your classes. Don’t forget your books! Search for your class books, school supplies, and many other things at the Tech Bookstore. Struggling with classes? 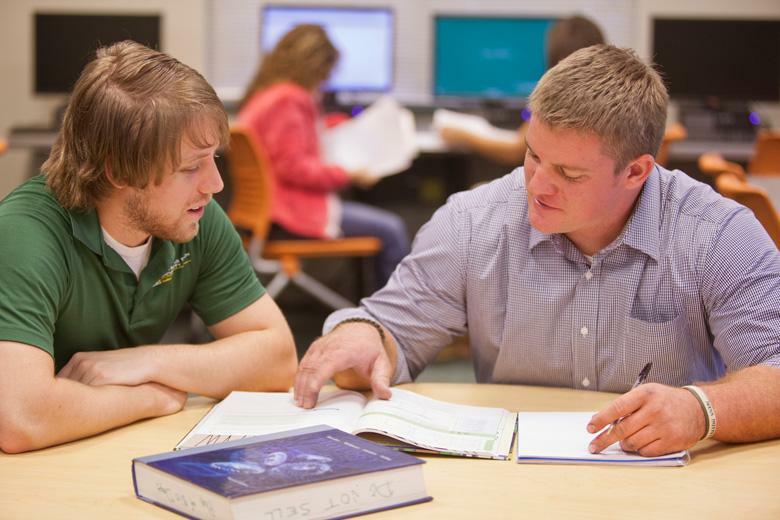 Visit the Tutoring Center offers free one-on-one peer tutoring for you. Take the option to make an appointment with an Academic Coach (Insert Link) to develop better study habits, time management skills, and more. Stay Connected! Follow Arkansas Tech University on Facebook, Instagram, theLink, and Twitter to know about all the latest upcoming events and news. Get Licensed with On-Track! This program is designed to encourage students to network socially and experience traditional Tech events. Complete all 7 tracks and earn a chance to attend a free trip! You do not want to miss this opportunity! Get Involved with the The Fun Experts! Attend Student Activities Board for exciting FREE events, such as movies, carnivals, comedians, singers, etc. for all Tech students. Go Greek! Sign up by visiting ATU Recruitment. Be apart of Tech Traditions! Download the Arkansas Tech Traditions app on your phone. Complete the required traditions and earn a green cord for graduation. Are you or a family member a Veteran? Go to Veterans Office for benefits (Brown Building 346). Also get involved by joining Service Members and Veterans of America (SMVA). Want to learn about other cultures? Apply for the Global Connect Program for an opportunity to serve as a mentor to international student. Find your path for the future with Career Services! Need help perfecting your resume, preparing for an interview, or a major perfect for you? Make an appointment on Handshake (use your oneTech login information). Attend career fairs, such as part-time jobs, summer jobs, and on campus jobs. Contact your academic or faculty advisor for more information about items in the academic section. Contact student services for more information about items in the involvement section. Register for classes & check holds on your on OneTech (onetech.atu.edu -> tuition & aid) before setting up an appointment to make your schedule for classes. If you have not declared a major, meet with a career advisor to find the perfect major for you. Want to Study Abroad for a Semester? Reach out to the Study Abroad Office to start the process! Need a job? Apply to be a Resident Assistant, an Orientation Leader, a tutor and a team leader on the Student Activities Board. Disclaimer: Deadlines vary each semester. Participate in the ELEVATE program and earn a certificate, a commemorative award, and other prizes for completing career related milestones. 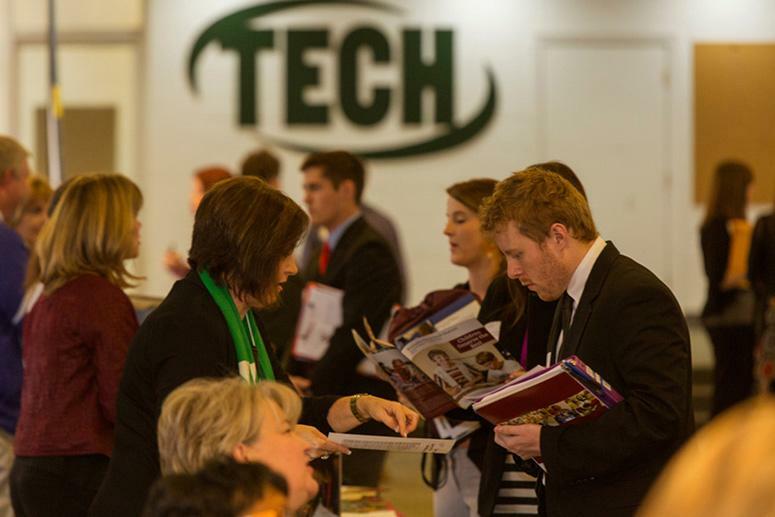 Attend the career fairs! Visit the “All Majors” fair and others throughout the school year. Stay updated by clicking here. Finalize your class schedule with your Faculty Advisor! Check holds on your OneTech (onetech.atu.edu -> tuition & aid) before setting up an appointment to register for classes and make sure you are on the right track towards graduation. Are you or a family member a Verteran? Go to Veterans Office for benefits (Brown Building 346). Also get involved by joining Service Members and Veterans of America (SMVA). Find your path for the future with Career Services! Need help perfecting your resume, preparing for an interview, finding a summer job, or preparing for graduate school? Make an appointment on Handshake (use your oneTech login information). Keep an eye out for career fairs! There are many different career fairs and there are some specific to majors to help earn future internships and jobs. Stay updated by visiting Handshake. Considering graduate school at Tech? Take a look at Tech scholarships and graduate assistantships available or visit Grad College office in Tomlinson 113. Interested in grad school somewhere else? Visit com for more information. Leave your Legacy Behind! If you had not had the chance yet, be apart of Tech Traditions by downloading the Arkansas Tech Traditions app. Complete the traditions and earn a green cord for graduation. Become a Pacesetter to educate others on the importance of giving back to Tech. Want to Study Abroad? Reach out to the Study Abroad Office to start the process! Find your path for the future with Career Services! Need help perfecting your resume, preparing for an interview, or preparing for graduate school? Make an appointment on Handshake (use your oneTech login information). Apply for transfer scholarships! For more information click here. Finalize your class schedule! Set up an appointment to register for classes with your academic advisor when you have 60 credit hours or less (Academic Advising Center - Rothwell 107). If you have 61 credit hours or more, go to the department of your major chosen. Undeclared? Meet with a career advisor to find the perfect major for you. Take a look at the Transfer Student Orientation schedule! Visit Club Pendy! Go to the library circulation desk to check out Gen Ed textbooks. Reserve the different types of Study Rooms. Take advantage of the tutors available in the Library Study Lounge Tutoring Center. (Ross Pendergraft Library - 1st Floor) Go online to the ATU Library Database page and search through free resources. Need a job? Apply to be a Resident Assistant, an Orientation Leader, a tutor and a team leader on the Student Activities Board. Disclaimer: Deadlines vary each semester..
Find your path for the future with Career Services! Need help perfecting your resume, preparing for an interview, a major perfect for you, or preparing for graduate school? Make an appointment on Handshake (use your oneTech login information).